In a budding career, American tenor Joseph Dennis has already gained recognition, not just for his vocal talent but also for his comedic gifts. In summer of 2014 he rejoined the roster of Santa Fe Opera for the American premiere of Dr. Sun Yat-Sen, by Chinese-born American composer Huang Ruo. He stepped into the title role at the last moment, to great acclaim. 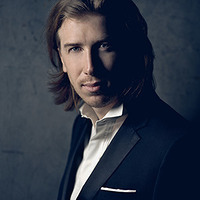 The New York Times noted, “For the American tenor Joseph Dennis, the understudy promoted to leading man at less than two weeks’ notice, it was a trial by fire, which he passed admirably.” Mr. Dennis was named a winner of the 2015 Metropolitan Opera National Council Auditions. "With his powerful tenor and command of facial expressions, Dennis communicates war's degradation of the creative soul. On opening night, when he took those defiant first steps into No Man's Land, setting off the chain reaction that results in the show's dramatic peak, the audience went breathless and I felt my heart in my throat."